It would have been nice if cleaning an oven was like cleaning up dust. For most people it is not like that, but for us, it is sort of the same, only slightly more challenging. That is why we established our oven cleaning service, so to bring this comfortable option every home if possible. 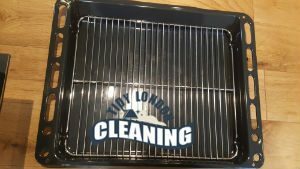 Everyone deserves to have a clean oven and their meals to come out perfectly that is why we have put in a lot of effort and that has placed us on a favorable spot on the Abbey Wood market with a lot of clients from this and other areas of London. 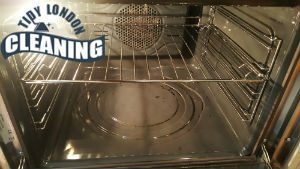 With our oven cleaning service available for everyone, we get new clients all of the time who just want to go in and hire us. But before all of that, we first make sure to explain to them how the service works, so that they are sure weather or not they really want to hire us. Clients sometimes don’t take the opportunity to ask questions, that is why we encourage them to do it. We have any answer that falls into the SE2 area and we also want to make sure that they are properly informed and know what they are paying for. After the oven cleaning service is hired, the technicians are notified and one of them is appointed for the client. The technicians take their schedules seriously so the clients should expect them to arrive right on time. The technician also expect that the client is home as well, otherwise, they’ll have to leave. Upon the arrival of the technician, work starts right away. The first step is an inspection of the appliance for a best approach for cleaning, after that is detaching a few parts for easier access and then cleaning up itself. The client pays and gets the full service. The cleaning products that our team uses are completely safe for their health and the environment. Our team has seen the worst case scenarios, the client doesn’t need to worry about anything. The client does not pay for any consumables by our team. Abbey Wood is a suburb of Southeast London, the greatest part of which lies in Greenwich. It is several miles away from Charing Cross and boasts excellent transport links. The place includes a number of attractions as well as areas of interest. To begin with, Lesnes Abbey Woods represent an ancient woodland and a home to a variety of wildlife habitats, flowers and plants. The green area is named after neighbouring Lesnes Abbey ruins. Adjacent Bostall Health and Woods includes football facilities and a bowling green. This large open-air space is one of the favourite local leisure centres. It is notable to mention that Lesnes Abbey Woods, as well as Bostall Health and Woods are part of the Green Chain Walk network. For shopping, the area around the train station is well-packed with independent shops and eateries. Abbey Woods offers also a dazzling dining scene. Along with the fast food local outlets, one can find here an excellent Indian restaurant. Knowing how dangerous it is to let grease and grime accumulate on your oven, we would like to ask you to keep it clean. There is a necessity to keep your oven clean. The cleaner your oven is, the more durable it will be. And that is not all – the cleaner your oven is, the healthier you will be, too. Instead of burdening yourself with the oven cleaning, let us do it for you. We offer professional oven cleaning services in Abbey Wood only. Book your first session with us today.